We are pleased to accept Manufacturers' coupons at all of our Town & Country, Country Mart, Apple Market and Price Chopper Locations. Coupons may come from a variety of sources. Some examples include in-store coupons, direct mail, product packages, print-at-home on the Internet, magazines or newspapers. 1. Coupons must be original and legible. They may be printed in either black and white or color. No photocopies allowed. 2. Coupons must include a bar code that is scannable at the register unless coupon comes directly from our weekly ad. 3. Coupons must have a legible expiration date. 4. Coupons must match the identical product listed on the coupon. 5. 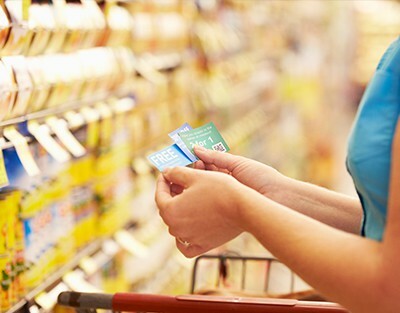 Coupons must clearly state Manufacturers’ Coupon or Redeemable at Town & Country, Country Mart, Apple Market or Price Chopper locations. 6. One coupon may be used per item. 1. Manufacturers’ Coupons that do not scan will be invalid. 2. Any coupon that has a expired date. Country Mart, Apple Market or Price Chopper locations. 4. FREE item coupon printed from the internet unless a purchase is required. *** A Buy One Get One FREE is acceptable. 5. Coupons will only be doubled if the price of item equals two times the face value of the coupon. Example: Item is purchased for $0.89 and a $0.50 Manufacturers’ Coupon is presented. Coupon WILL NOT be doubled. 6. Coupons from other retailers or coupons that may be used only at other retailers.